Home theater and audio enthusiasts are always searching for audio that makes us feel like we are living the movie or concert. We agonize over speaker specifications, amp distortion and the like, trying to make everything sound just right. What we often forget, is that room acoustics play a huge role in any well-designed home theater or listening room! Speaker manufacturers test their prototypes in anechoic chambers -- rooms that eliminate any reflections that can change the sound. They want to know how their speakers sound with zero room influence. The problem is that for the average person, the room will almost always be a factor. A couple of years ago, I wrote a review on the Datasat RS201. It was the first system I had ever encountered that was able to fix acoustic problems in the room without screwing up the overall sound of the system. The Datasat had an amazing software system that analyzed and addressed the problems in the room. I’ve now had the Datasat in my system for almost two years and it still amazes me every time I listen to it. The difference in the purity of the sound when you reduce the problems caused by the room is just staggering. Lately, we’re beginning to see a trend. More and more manufacturers are getting into the “Room EQ” game, and I couldn’t be more excited! 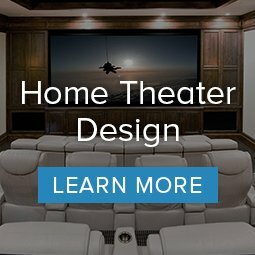 What kinds of sound issues can a room create? Every room is going to handle frequencies differently. Some frequencies will sound louder while other frequencies will be greatly reduced. Not only does this affect the primary frequency -- it impacts the harmonics all the way up the chain. In most rooms the biggest variations are in the lower frequencies. To experience for yourself, play a track with a repetitive bass line and walk around the outer perimeter of your room and then into the center. As you walk, you will likely notice that in some areas, bass notes are really loud, while in other areas they are almost nonexistent! While it's physically impossible to make every nook and cranny of your room acoustically perfect, a system like the Datasat uses can greatly improve your main listening area. Once you experience this improvement, there is no going back. Who else is offering room EQ? One of the very first to attack room equalization, long before the Datasat, was Vandersteen Audio. The Model 5 speakers have 11 adjustments on the back of the bass speaker amp to fine tune the room. At Audio Advice, we’re able to do this for you with a special test disc and good sound pressure meter. The disc plays a series of tones, we make a note of which ones are too loud or too soft and adjust the amp to flatten out the bass. It works great. This same technology is now incorporated into Vandersteen’s flagship Model 7 as well as the more affordable Quattro series. JL Audio is another one of our favorite manufacturers who have put efforts towards addressing room problems. Their Fathom series subwoofers come with a calibrated mic, which we place at your main listening position. The sub then plays a long series of test tones and adjusts itself to tame the room problems. Just like the Vandersteen system, the change is drastic! MartinLogan is also incorporating room EQ into their better subs. They have a kit called Room Perfect that allows us to use a PC to set things up and dial out the room nasties. 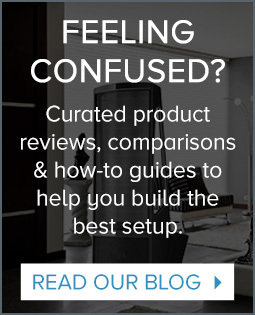 I attended CES 2016 and the room EQ trend immediately jumped out at me. As processing power gets less expensive, it's going to become even easier for high-performance home theater and two-channel manufacturers to incorporate room equalization into their products. Arcam was showing a two-channel amp that had Dirac -- the same circuitry found in my favorite Datasat. We can’t wait to get our hands on this Arcam to test it out! In other good news, Datasat now has a Dirac option in their less expensive processor, the LS10. If you have an LS10, you should contact us to learn more about how to upgrade. Finally, I spent some time with the folks from Anthem. 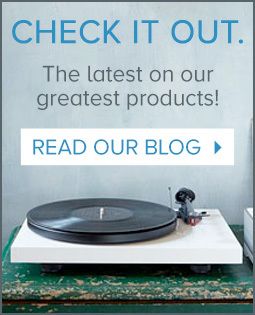 Anthem is a value-oriented, high-performance audio brand out of Canada. They are owned by the same parent company that owns MartinLogan. While we haven’t sold Anthem in the past, the work they’re doing with their room EQ system, ARC (Anthem Room Correction) has us excited! 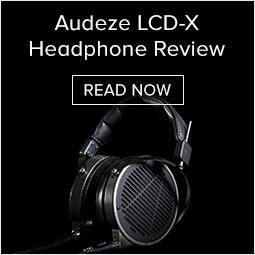 They’ve been working on it for the past few years, and I had heard from some of my fellow audiophiles that the system is really impressive. After experiencing it live at CES, I have to agree! Anthem has ARC in their home theater receivers for as little as $1,399. You’ll be hearing more about the arrival of Anthem at Audio Advice in a future blog post. If you can’t tell, this room EQ stuff has got me really excited! I can’t wait to start helping all of you have a much more fun home theater and audio experience with these great new products. They’re designed to take away your room problems, letting you enjoy every nuance of the sound that your favorite performers and producers wanted you to hear in your home!